I was super glad of the warm day that was happening as we woke up for our last day in LA. It meant that it was the perfect time to pull out the Lilly Pulitzer T-shirt dress that I had been dying to wear for weeks now! The sunny weather and a day that was filled with shopping seemed to be just the ticket. 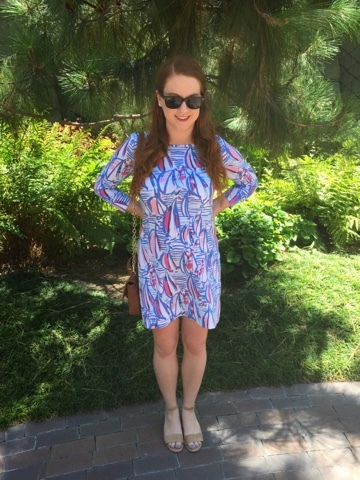 I wore it in 80 degree weather and was worried I would get overheated and sweaty, but the dress breathes really well! It also has the cutest sailboat print and its SO comfy for all day wear. If only I could wear Lilly everyday! I paired the dress with suede demi-wedge sandals that I bought from J. Crew Factory (p.s. they’re on sale right now!). They were a great pairing for the summer heat and no shoe breaking in was required. They were even pretty easy to take off one handed at the airport security line. 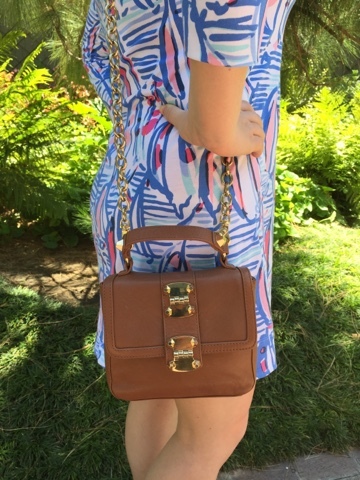 I know I’ve shown this Sole Society cross body bag a million times, but I still love it. It pairs well with so many looks and can handle the fair bit of abuse it gets handed as I carry it around all day. 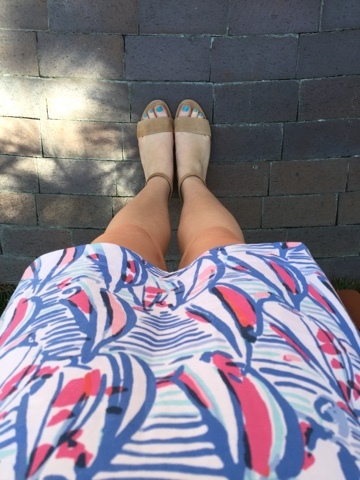 How do you feel about Lilly Pulitzer sailboat prints? Love Lilly! So bright and fun for summer! Love the dress! Nothing is quite like a Lilly dress during the summer. So cute on you too.. I love the print of your dress! It's so perfect for summer! Great look as usual! Loving the suede denim sandals—versatile and cute! 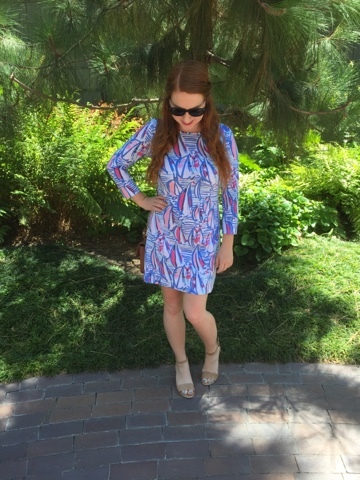 I am obsessed with that print! So chic for summer!